It’s hard to predict when and where an infectious disease will emerge. It could be anywhere on the planet. And it could affect humans, animals or plants. That’s why countries need surveillance systems that can detect and respond to outbreaks wherever and whenever they occur. Detecting them early is vital because it means that measures can be put in place quickly to control the spread of a disease, reducing its size and impact. Good surveillance capacity to pick up the threat of a new disease depends largely on good basic public health systems in communities. To strengthen this capacity, a good place to start is for countries to develop networks and have enough skilled health workers to detect and respond to diseases that happen everyday. By tackling these threats and controlling existing diseases, countries can build the capacity they need to deal with future emerging disease threats. In low and middle income countries the public health infrastructure to manage human and animal health is often limited. Gaps in capacity have implications for both the local capacity to detect and respond to existing and everyday disease threats as well as the surveillance of emerging diseases. The inability of countries to first detect, and then manage, the spread of diseases can have serious economic implications. The spread of diseases affecting crops and livestock can wipe out the income of a family, and have devastating affect on the agricultural sectors of a country’s economy. This is particularly problematic in most African countries where agriculture remains a mainstay of people’s income. There are three ways to define an emerging disease. When they cause infections in a species for the first time, spread to new geographic areas, or cause an increasing number of cases in a particular population. The Ebola outbreaks in West Africa and the Zika virus outbreaks in many Pacific Island countries and the Americas are examples of emerging infections in humans. 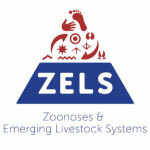 Around 75% of emerging infectious diseases are zoonoses – diseases that can be transmitted between animals and people. Zoonoses can affect communities in several ways. Aside from ill people there can also be profound economic effects. Rift Valley fever affects livestock such as cattle, sheep, goats and camels as well as people. Disease in these livestock affects household income as well as national trade, as was clear in several large outbreaks of Rift Valley fever in sub-Saharan Africa in recent decades. Emerging diseases can also affect plants. Some of the most economically important plant diseases affect crops such as cassava (Cassava Mosaic Virus Disease) , bananas (Banana Xanthomonas Wilt) and wheat (Wheat Rust Ug99). Outbreaks of these plant diseases can also have devastating effects on livelihoods and economies. Whether disease outbreaks occur in people, plants or animals, countries need surveillance systems that help them detect disease and respond quickly. organising and implementing effective responses. The international Ebola outbreak in 2014/2015 is a case in point. There were cases of Ebola in several countries, for example in Nigeria, that were effectively controlled because the relevant authorities in Nigeria and neighbouring countries were on high alert and able to respond quickly and effectively. Key factors in these successes were government level support and preparedness, strong laboratory infrastructure, rigorous and comprehensive contact tracing and follow up at the grassroots level and engagement with the community. One way to build the capacity needed to manage emerging diseases is to focus on diseases that occur regularly and directly affect members of the community where the additional capacity is needed. This approach helps local communities to get involved and stay engaged to achieve sustainable improvements in surveillance. Rabies is an example of a zoonosis that has been controlled in most countries, though challenges still remain in some African countries. 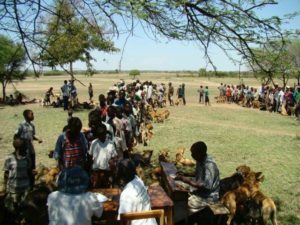 International initiatives like World Rabies Day are designed to raise awareness, encourage collaboration, and promote the implementation of disease control measures, such as making dog vaccinations available. Approaches designed to tackle existing disease threats also provide a way to build the communication platforms, networks, leadership capabilities and trust between those involved in surveillance that are necessary for multiple diseases. By working to control existing diseases, stronger systems can be built to fill current gaps in global surveillance capacity. These capacity gains make it possible to deal more effectively with new disease threats wherever and whenever they emerge. Successes in disease surveillance and response depend on collaboration, partnerships and trust at individual, institutional and national levels. Dr Jo Halliday, Institute of Biodiversity, Animal Health and Comparative Medicine, University of Glasgow, is the principal investigator of LLH’s Brucellosis project.